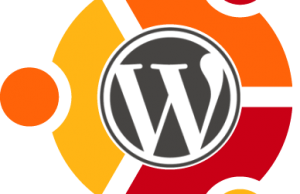 WordPress 2.9 testing is going on and WordPress team is still making some changes to its new features. We had earlier reported that Video embedding thru URL feature has been included in WordPress 2.9 and it is still three but team has done some changes in WordPress 2.9 beta 2. In WordPress 2.9 beta 1, the insert video option above the content editor on edit panel for post was behaving in such a manner that if you provide URL of YouTube video then that will embed the video in your post rather than inserting just a link (as in current version of wordpress i.e. 2.8.6). But in 2.9 beta 2, WordPress has removed that feature and put the same logic as 2.8.6 where that option will include only a link to the video. You can copy the URL of a YouTube video from the address bar of that particular video. Now change the the Embed options i.e. Width and height of embedded videos from the Media options under Settings tab on Dashboard. We have already explained this new option in previous post.